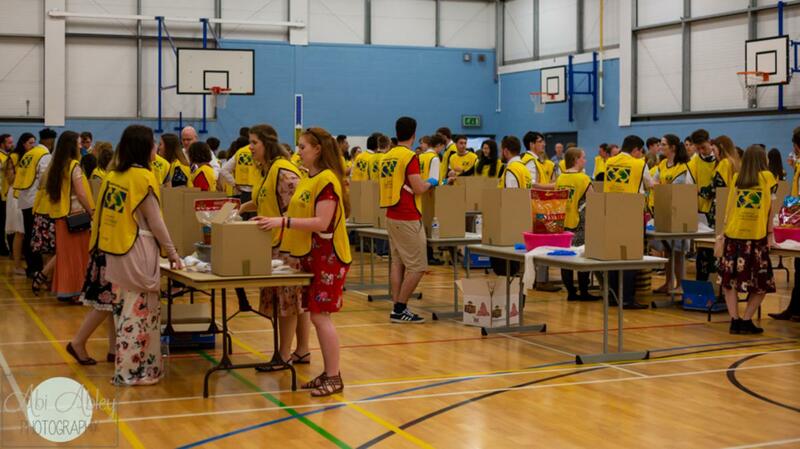 Sunday 6th May saw around 270 young single adults, attending the National YSA Convention in Bristol, lovingly put together over 70 care packages and circa 4000 bags of spices for those in need of home comforts both in the UK and in refugee camps overseas. These packages were funded by the Church and created in partnership with Aid Box Community and People In Motion. 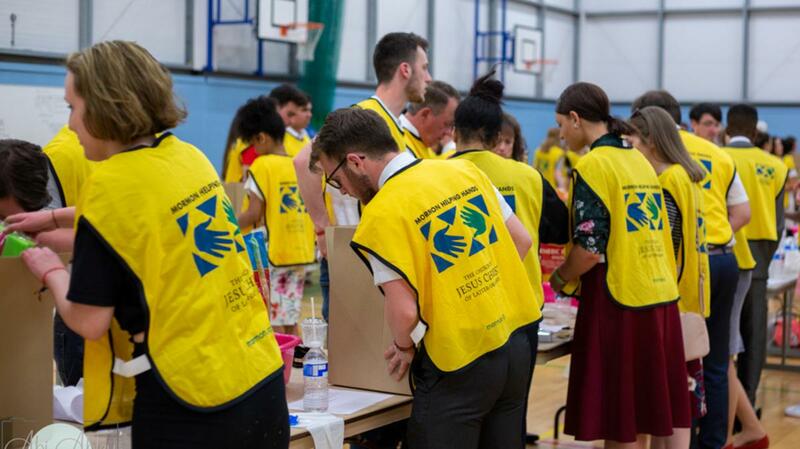 Aid Box Community Bristol, who provide support, supplies, and sanctuary to refugees and asylum seekers, advised on the contents of the packages designed to help such individuals integrate into life in Bristol. Each Care package contained fifteen items, which included basic household items such as salt, sugar, and cooking oil; plus personal hygiene items such as soap, shower gel, and toothpaste. Almost 200 kg of various spices, including paprika, coriander, turmeric, and curry powder were decanted into small bags to be shipped to a refugee camp on the Greek island of Lesvos. People In Motion, a charity providing support and aid to displaced people - particularly those involved in the refugee crisis - advised on the contents and importance of the spice bags.